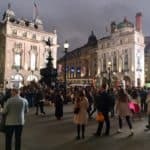 Across Europe, crowdfunding is quickly moving from a fringe funding instrument to becoming a mainstream – finance channel, connecting “crowds” to fund businesses, projects and individuals. In its recently published Report on Crowdfunding in the EU Capital Markets Union, the European Commission details the importance of crowdfunding as “an important source of non-bank financing in support of job creation, economic growth and competitiveness” (European Commission 2016). While there remains no harmonised regulatory framework applicable to crowdfunding across Europe, individual mem- ber states have adopted national regulatory approaches to supervise crowdfunding activities – “tailoring their regulatory frameworks to the characteristics and needs of local markets and investors, which results in differences on how the rules are designed and implemented” (European Commission 2016, 4-5). 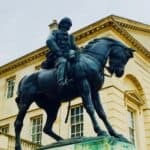 This article will focus on the regulatory regime in the United Kingdom that regulates and supervises online alternative finance activities that fall under the crowdfunding umbrella. The United Kingdom is the leader in online alternative finance in the European market, accounting for just under 75 percent of all transaction volumes in Europe (Wardrop et al. 2015). In 2015, online alternative finance in the United Kingdom grew to GBP 3.2 billion, increasing by 84 percent from GBP 1.74 billion in 2014 (Zhang et al. 2016). Sizeable growth in 2015 coincided with successful integration of sector regulation, alongside continued government support for alternative finance. 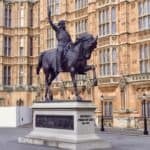 While many member states have opted for a “wait and see” approach to crowdfunding regulation, the United Kingdom was of the first nations to create bespoke regulation for crowdfunding activities. 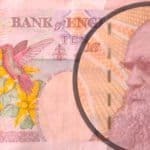 As the regulating body that monitors and supervises crowdfunding activities in the UK is the Financial Conduct Authority (FCA)2, this article will centre on the regulatory regime that it has adopted. Donation-based crowdfunding: people give money to enterprises or organisations whose activities they want to support. Pre-payment or rewards-based crowdfunding: people give money in return for a reward, service or product (such as concert tickets, an innovative prod- uct, or a computer game). Loan-based crowdfunding: also known as “peer- to-peer lending”, this is where consumers lend money in return for interest payments and a repayment of capital over time. Investment-based crowdfunding: consumers in- vest directly or indirectly in new or established businesses by buying investments such as shares or debentures (FCA 2016a). 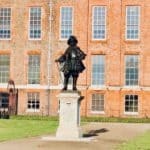 The first two categories are exempt from regulatory oversight from the FCA, as the party providing funds does so for altruistic purposes or to receive a “reward”, rather than to pro t financially. As such, these two categories fall outside of the FCA remit and are exempt from requiring FCA authorisation in order to operate. The second two categories are monitored and supervised by the FCA, as these categories are transactional activities where financial pro t is possible for the individual funder. 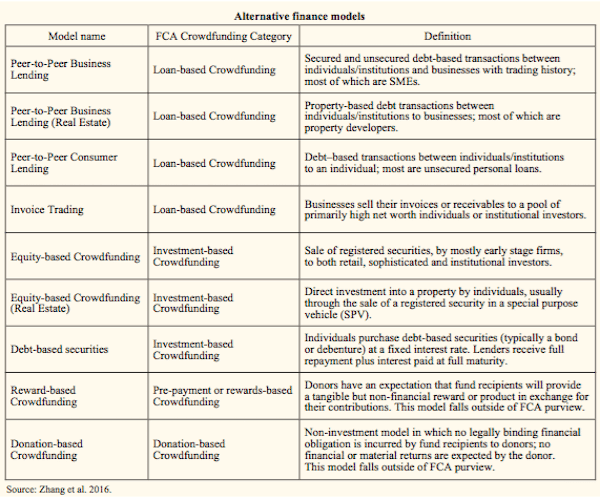 Given the broad definition employed by the FCA, Table 1 indicates the category under which key alternative finance models fall within. These model definitions are based upon the working industry taxonomy created by the Cambridge Centre for Alternative Finance and its research partners (Zhang et al. 2016). In February 2015, the FCA published its review on the state of crowdfunding since the sector fell under its auspices in April 2014, pending a transition period for key activities (FCA 2015a). Examining the implementation of the new crowdfunding rules, the review discussed the efficacy of the newly-formed regulatory regime. 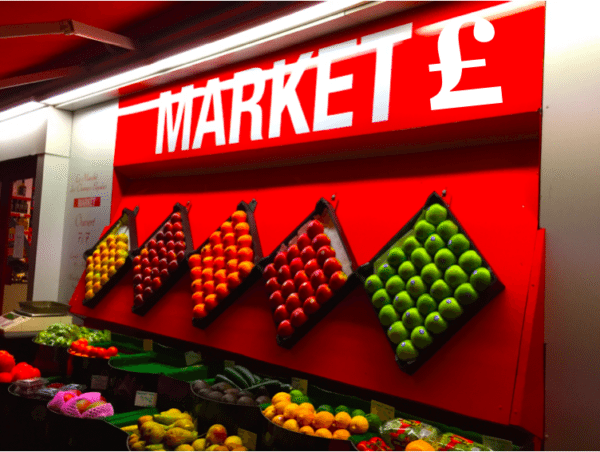 The review raised several key concerns around promotions to retail clients, and pre-empted the FCA’s plan to publish additional guidance around consumer communication relating to promotion and advice. While additional rules and guidance around “segregation of client money”, “social promotion” and “P2P Advice” were set forth in 2016, this review document serves as the most comprehensive analysis of the authorisation process for investment-based and loan-based crowdfunding. Investment-based crowdfunding, as noted above, re- lates to activities in which individuals invest in unlist- ed shares or debt securities issued by a business. At the time of the February 2015 review, the FCA publically acknowledged the full authorisation of ten firms as of 1 April 2014, with an additional four platforms receiving authorisation by the end of 2014. The document noted an additional ten applications in review at the start of 2015. The ten firms that were authorised on or before 1 April had until 1 October 2014 to become fully compliant with the new rules, whilst any platform that began the authorisation process after 1 April 2014 had to comply with all the new rules from their date of authorisation. While the FCA has yet to release a 2016 crowdfunding review, our assessment is that as of March 2016, a total of 24 crowdfunding platforms have permission to function as an investment-based crowdfunding business in the UK. Additionally, a closer examination of the FCA’s registry indicates that at least 12 platforms are operating an investment-based crowdfunding business as an appointed representative (see Appendix). As noted in Table 1, investment-based crowdfunding is an umbrella term which captures the activities of a number of online alternative finance models including equity-based crowdfunding, real estate equity-based crowdfunding and debt-based securities, such as mini-bonds and debentures. At the end of 2015, these models raised GBP 337.8 million. As Figure 1 indicates, the dominant share of volume came from the equity crowdfunding model. 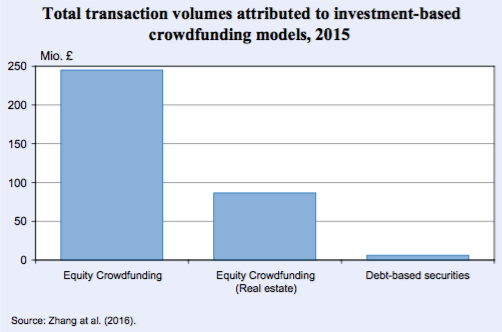 Yet a significant proportion of investment-based crowdfunding volumes came from the relatively new model, equity crowdfunding in real estate. As noted in the Pushing Boundaries report, this model enables investors to acquire ownership of a property asset via the purchase of property shares. 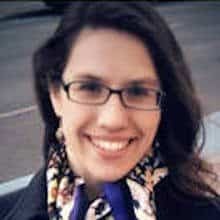 Upon analysis of the investor profile breakdown, the study found that this model principally caters to sophisticated and high net-worth investors, with 77 percent of funders identifying as such.3 Ten percent of those participating in deals across this model were identified as ordinary retail investors, leaving only three percent of funders from institutional backgrounds (Zhang et al. 2016, 42). The emphasis of retail money in this model is important, as this model is relatively new and has yet to incur additional specific requirements beyond those outlined and required for investment-based crowdfunding. It is likely that 2016 will bring addition- al guidance and/or requirements for firms dealing with property-assets, given their distinct nature compared to other typical non-readily realisable asset-classes. The FCA defines the instruments traded on investment-based crowdfunding as “non-readily realisable securities” that are not listed on regulated stock markets, and are distributed and sold over the internet. Given this definition, the key activities performed by investment-based crowdfunding, especially those in the equity crowdfunding space, already fell under the FCA‘s regulatory purview. As such, requirements around disclosure, client monies, and promotion were already in place for platforms in the space. New rules pertaining to investment-based crowdfunding-related primarily to marketing restrictions, in the form of consumer protection rules, which dictate how firms can make direct offers to retail clients, and how said retail clients are defined. Ordinary retail investors who invest less than ten percent of net assets. In this instance, firms are required to check consumer understanding of risks if not receiving regulated advice. Platforms operating in the investment-based crowd- funding space must also verify that the retail investor is aware of the risks associated with their activity. In addition to the baseline rules enacted in April 2014, the FCA released finalised guidance in March 2015 to further define rules around social media and customer communications (FCA 2015b). These rules also apply to loan-based crowdfunding platforms. While strict requirements around “fair, clear and not misleading” promotions were included in the original rules, the FCA provided additional guidance to how the FCA would approach defining the use of social media for financial promotion, and how the FCA would supervise said social promotions. The core of the FCA’s supervisory approach is the notion that “any and all communication that can be deemed as a promotion be reflective not only of any benefits to a consumer, but must also address any relevant risk associated with the use of the product being promoted.” To put this into context, the key purpose of this guidance is to address and define the parameters in which platforms might use social media platforms, especially where character limitations may prevent sufficient and appropriate risk warnings. Although most (77 percent) operational platforms in the UK view the FCA’s approach to social media as “adequate and appropriate”, 21 percent of platforms view guidance social media pro- motions as “excessive and strict” for their crowdfunding activity (Zhang et al. 2016, 31). In addition to use of social media for financial promotion, equity crowdfunding platforms must also navigate potential additional supervision of the “online forums” typical for most crowdfunding campaigns. While the existing guidance does not specifically discuss how online forums should be supervised, this is probably an area that will attract attention in the future. Since communication to potential investors, even if originated by the fundraising party, may be viewed as financial promotion, constructing compliant communication rules on online forums remains a potential challenge for platforms. 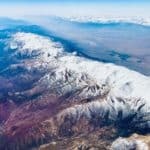 Another potential area of risk may relate to the required due-diligence that platforms must undertake before allowing businesses to raise equity on their platform. In a recent report by CrowdRating, a study found that investors in crowdfunding deals “will recognise if a campaign has a really strong management team in place and equally if it doesn’t have a great product or service. However, [investors] are largely indifferent to valuation or the anticipated financial performance of a company that is fundraising (Rees-Mogg and Harris 2016). The study concluded that entrepreneurs were incentivised to set a high, often overly-inflated valuation, as the crowd investor was, wilfully or otherwise, insufficiently reviewing the financials of the propositions they funded. 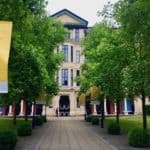 Effectively, these findings challenge the concept that platforms are sufficiently “provid[ing] appropriate information about designated investments, so that the client is reasonably able to understand the nature and risks and to take investment decisions on an informed basis” (FCA 2016b). This report, alongside an array of headlines pointing to over-valuation of crowd-driven campaigns, may compel the FCA to implement rules relating to upfront due-diligence procedures, thus altering the platform’s role, which will evolve away from being purely an intermediary. In 2015, equity-based crowdfunding experienced 295 percent growth compared to the previous year (Zhang et al. 2016, 41). An important development within equity-based crowdfunding was continued innovation in the products offered by platforms, which introduced a blend of debt-products, including mini-bonds, convertible notes, real-estate investment trusts, to name just a few of them. The influx of new products, while certainly positive for the development of the crowdfunding sector, may raise issues in terms of how the FCA supervises activities. At present, there is no specific additional guidance, but platforms may need to apply for additional permissions depending upon their activity. 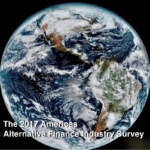 Unlike the investment-based crowdfunding model, loan-based crowdfunding refers to a class of consumer credit activities that previously fell under the auspices of the Office of Fair Trade (OFT). With the introduction of crowdfunding rules in April 2014, the oversight of consumer credit activities, including the newly-defined loan-based crowdfunding, transitioned to FCA super- vision. In preparation for this transition, the 2014 rules included certain transitional arrangements applicable to firms holding OFT licenses. Any firm that had an OFT license before 1 April 2014 was granted interim permissions, which allows firms to adhere to top-level FCA rules and requirements, whilst still being fully operational and preparing their application or awaiting full authorisation. Any firm entering the marketplace after 1 April 2014 was subject to all FCA rules at once and could not enjoy the ben- e ts of interim permissions (FCA 2015a). At the time of its publication, the FCA’s crowdfunding review indicated that only one firm had been fully authorised, with an additional eight pending applications. The FCA also indicated that 56 firms were operating within the marketplace, or seeking to enter the space, at the end of 2014. Platforms operating in the market did so either with interim permissions or by becoming an appointed representative to an authorised firm. In March 2016, the FCA indicated that a total of eight firms (only an additional seven in the course of a year) had received full authorisation to operate as a P2P platform, with a further 86 firms awaiting a decision.5 Of these 86 platforms, only 44 have interim permissions related to their previously held OFT license (FCA 2016c). With respect to the remaining 42 applicant plat- forms, a number are operating as an appointed representative. While the breakdown remains unclear, (as the FCA does not explicitly publish the authorisation status of specific platforms), close inspection of the FCA registry indicates that at least five of these platforms are operating as an Appointed Representative. Interestingly, it seems as though one particular firm, Resolution Capital (FCA 2016d), is “currently attached to” approximately 25 businesses, including several firms operating in the P2P lending space. As such, it seems like a considerable number of appointed representative firms are using the Resolution Capital license. For the remaining businesses that are not appointed representatives, they are unable to operate within the marketplace. The FCA has noted that a delay in authorising additional firms stems from “recent changes to legislation which clarifies how operating a P2P platform fits with other regulated activities” (FCA 2016c). Namely, changes to rules regarding the segregation of client money and rules related to advice came into effect March and April respectively. In the simplest of terms, the FCA outlines loan-based crowdfunding activities as an activity that “facilitates loans between individual [lenders] and individuals and business [borrowers]” (FCA 2015a) and is defined as a “ firms that operate[s] electronic systems in relation to lending” (FCA 2015a). As noted previously, loan-based crowdfunding captures the activities of a number of online alternative finance models, including peer-to-peer (P2P) lending models that include P2P Business Lending, P2P Business Lending for Real Estate, and P2P Consumer Lending, and invoice trading. 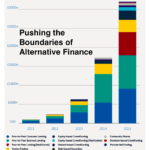 A total of GBP 2.7 billion was facilitated by these online alternative finance models in 2015. As indicated by Figure 2, P2P Consumer Lending and P2P Business Lending contributed the most significant proportions of lending in 2015. The very same year, however, proved to be a watershed for the relative newcomer, P2P Real Estate Lending. 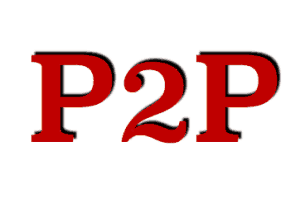 In the Pushing Boundaries report, this segment of P2P Lending is associated with P2P Business Lending, as only businesses may participate as borrowers at present. As noted above, it was only on 1 April 2014 that regulation of the consumer credit marketplace, and thus firms in the loan-based crowdfunding space, fell under the auspices of the FCA. Key changes to loan-based platform activity dealt with the application of core consumer protections by the regulator, including guidance and supervision relating to promotions, anti-money laundering, etc. In particular, the FCA implemented prudential requirements (FCA 2015a), which reflect the standardised capital reserves that a platform must comply with. As this was not a previous requirement, the FCA is phasing in capital requirements to give firms time to adjust to their new obligations. A key component of the implementation of prudential requirements relates to the reporting requirements imposed upon platforms once they are fully authorised. Utilising the GABRIEL portal, platforms are expected to report to the FCA on a quarterly basis, with monthly reporting of any information relating to the holding of client monies (FCA 2016e). Although prudential rules are not easy to generalise, as they are based upon the individual permissions and activities of each platform, P2P lending firms do have a base capital requirement of GBP 50k, with a GBP 20k requirement during the transition period. 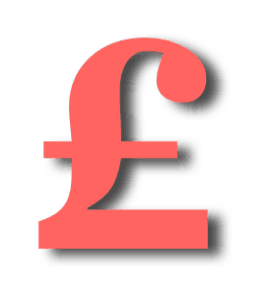 At present, firms are obliged to meet minimum capital requirements only upon authorisation, with a transitional period until April 2017 (FCA 2015a). A platform operating in the P2P space is also required to notify the FCA should the value of their loans outstanding increase by 15 percent or more, thus necessitating a recalculation of any prudential requirements. In addition to financial reporting, platforms are required to report any disputes between consumers and the platform. In addition to capital requirements, platforms are obliged to conform to Client Money Rules, as outlined in the FCA Handbook in the section relating to their Client Asset Sourcebook rules (or CASS) related to “adequate protection”– i.e. no co-mingling of client monies, clear and transparent holding of client monies, etc. (FCA 2016f). Rules related to client money were further modified in 2016, following the Consultation Paper entitled: “Loan-based Crowdfunding Platforms and Segregation of Client Money”. The issue that this consultation paper aimed to rectify related to how firms dealt with investor money (from the regulated P2P agreement) alongside monies from unregulated Business to Business lending (B2B) agreements (FCA 2016g). Effectively, this consultation paper proposed a less onerous process for dealing with monies generated by a P2P agreement (i.e.funds from an individual) versus those of B2B funds (i.e. funds from an institutional investor, and falling outside of the consumer credit regulation purview). The FCA suggested (and ultimately implemented) a revised policy that would allow firms to elect to hold money from both regulated and unregulated client money together, as long as all client money was separate from the firm’s own funds. The new rules are covered in CASS 7.13, which refers specifically to how Client Money ought to be separated, as well as guidelines on how to submit client money and asset return statements (FCA 2016f, CASS 7.13). The implication of the client money rule change is timely and necessary, as institutional investment in the P2P lending space continues to grow rapidly. 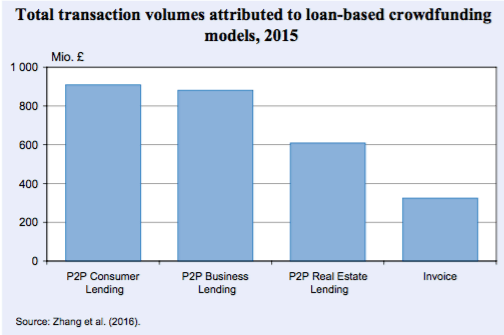 In 2015, 32 percent of P2P Consumer Lending was derived from institutional lenders. Illustrating the trend that institutional involvement is on the rise, P2P Consumer Lending saw levels of institutional lending increase dramatically over the span of the year, recording only 17 percent of lending from institutions in Q1 of 2015, and rising to 38 percent by Q3 and Q4 of the same year. P2P business lending also saw considerable levels of institutional lending, with 26 percent of total funding in 2015 attributed to institutional investors (Zhang et al. 2016, 27). Institutional lending is expected to continue to grow in 2016, the ability to hold both regulated and unregulated client money should provide loan-based crowdfunding firms with greater flexibility when dealing with the treatment of client money. Loan-based crowdfunding platforms must comply with disclosure requirements, where all communications are “fair, clear and not misleading”. There is a minimum set of information points that a firm must share with consumers, including but not limited to information on the performance of products, comparative information, and relevant transaction information. In light of the introduction of the Innovate Finance Individual Savings Account (IFISA) on 6 April 2016, the FCA published a second consultation paper to address potential changes in regulated advising on peer-to-peer agreements (FCA 2016h) and to allow for loan-based crowdfunding investments (under Article 36H agreements in the Regulated Activities Order (RAO)) to be included in Individual Savings Accounts (ISA’s). This consultation document makes heavy reference to the recently amended FCA and HM Treasury Financial Advice Market Review (FAMR) recommendations, which came into effect in January 2016. The purpose of the recommendations was to improve consumers’ access to advice, narrowing the definition of regulated advice to contain “personal recommendation” (HM Treasury 2015). Thanks to the narrow definition of advice adopted, platforms that provide risk ratings, guidance services or research into potential investments were effectively able to do so without these services being considered “advice”. As such, the FCA’s consultation recommends that, given the narrowing of scope, certain peer-to-peer agreements may not require regulation vis-à-vis advice. 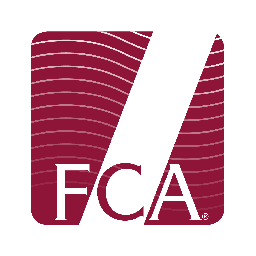 In the final rules issued by the FCA’s policy statement, “PS16/8: FCA Handbook changes regarding the segregation of client money on loan-based crowdfunding platforms, the Innovative Finance ISA, and the regulated activity of advising on peer-to-peer agreements” (FCA 2016i) the recommendations from the previously discussed consultation documents were implemented as official policy. To coincide with the introduction of the IFISA in April 2016, the FCA has issued new rules that align “advice” on P2P agreements with regulation on advising specified investments. Specifically, “the FCA will apply the suitability requirements contained in chapter 9 of the Conduct of Business Sourcebook (COBS) and the rule on inducements found in COBS 2.3.1R to firms that make personal recommendations in relation to P2P agreements” (Lexology 2016). At its core, this shift in the regulation of advice allows platforms to provide more “decision-making” information on a given P2P agreement, and only obliges “personal recommendations” of rules on advice. This policy statement also amends the FCA handbook by setting out guidance and clarification on the type of information that firms must provide their consumers with in relation to ISAs. Specifically, the FCA requires that firms disclose any potential tax disadvantages related to repayment failure or firm failure, the procedure and potential consequences of liquidating a P2P loan help within the IFISA Wrapper, and the procedure and potential tax disadvantage of transferring P2P loan help within the wrapper from one ISA manager to another (Lexology 2016). Ultimately, this policy statement and subsequent guidance expand upon existing rules on financial promotion and disclosure and provide clear guidelines for P2P Lending platforms that wish to manage an IFISA. In the Pushing Boundaries report, P2P Lending plat- forms indicated that the introduction of the IFISA would constitute significant growth. P2P Consumer and Business Lending platforms indicated an anticipated annual growth in volume of approximately 27 percent to their respective models, while P2P Real-Estate Lenders expect 52 percent growth in their transaction volume (Zhang et al. 2016, 32). 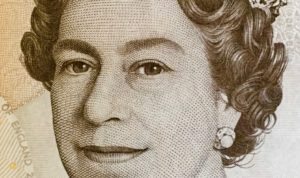 Given the high hopes of the industry, it is curious to note that none of the major P2P Lending platforms may currently use an IFISA, as only P2P loans on fully authorised platforms are eligible investments for the IFISA. The significant backlog of FCA applications for authorisation has left many wondering if the impact of the ISA will be delayed into the second half of the year. As far as the authorisation process is concerned, one additional potential risk is that of industry consolidation within the next year, with the merger of P2P lending platforms with each other or to another type of intermediary. When a firm applies for authorisation, a key component of the application is the platform ownership structure. Any change in ownership requires pre-approval and subsequent re-authorisation. The levels of concern over the merging of consumer data, client monies, etc. remain an unknown quantity, and such merging would probably cause considerable upheaval at a procedural level. 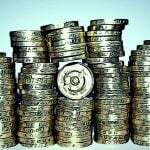 The FCA’s approach to crowdfunding is often lauded as the “gold-standard” for crowdfunding regulation. With regulation now having been in place for over a year, it is interesting to note the high levels of satisfaction registered by crowdfunding platforms. In the Pushing Boundaries UK industry report, the platforms surveyed were asked to indicate their levels of satisfaction with the existing regulatory framework, and to gauge their perceptions of prospective regulatory changes. Of the P2P Lending (loan-based crowdfunding) platforms surveyed, 91 percent regarded the current regulatory regime as “adequate and appropriate” to their activities, with only 5.66 percent suggesting that “tighter or stricter” regulation need to be implemented. A mere 3.77 percent viewed regulation as “excessive and too strict” (Zhang et al. 2016, 31). Similarly, equity-based crowdfunding registered high levels of satisfaction with the FCA’s regulatory approach, with 89 percent of platforms viewing the regulatory regime as “adequate and appropriate”. Just under eight percent of the equity-based platforms surveyed advocated a tighter and stricter regulatory approach, while only three percent of platforms regarded the current FCA regulation as too “excessive and strict” (Zhang et al. 2016). Given the positive industry sentiment towards its regulator, and an evolving framework to address concerns or potential growth-barriers as they arise, the FCA’s approach to crowdfunding has proven a resounding success to date. 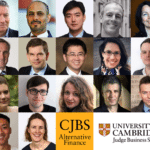 Robert Wardrop is the Executive Director, Cambridge Centre for Alternative Finance. Robert is a sociologist in the Finance & Accounting subject group at Cambridge Judge Business School. 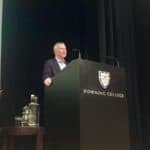 He has a successful track record of investing in and advising small and mid-sized firms in North America, Europe and Asia spanning over 30 years, and this experience led to his interest in understanding how and why alternative channels of finance emerge outside the traditional banking and capital markets system. His current research focuses on small and mid-sized firms that issue bonds as an alternative to bank financing, with the aim of better understanding the decision-making behaviour of firm owners and classes of investors across different economies. 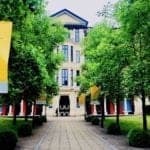 In addition to his academic role at Cambridge, Robert currently serves on the Global Advisory Boards of the University of Chicago Booth School of Business and the School of Business at Queen’s University in Kingston, Canada. Tania is the Research Project Manager at the Cambridge Centre for Alternative Finance (CCAF), Cambridge University Judge Business School. Tania’s research interests include small business economics and SME utilisation of alternative funding models to access finance. She was the Programme Manager of the Alternative Funding Network at the London-based Knowledge Peers. 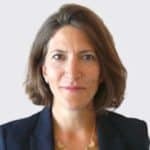 Previous to her work in alternative finance, Tania specialised in Chinese outward direct investment and was a Fulbright Scholar. Tania studied economics and holds an MSc in China in Comparative Perspective from the London School of Economics. 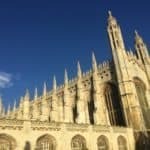 This entry was posted in Featured Headlines, Global, Opinion, Politics, Legal & Regulation and tagged cambridge centre for alternative finance, dice, fca, financial conduct authority, regulations, research, robert wardrop, tania ziegler, uk, united kingdom. Bookmark the permalink.